Les Gets is located in the heart of the Portes du Soleil ski area, situated on the col between Taninges and Morzine in an area between Geneva Lake and Mont-Blanc. There is a wide range of outdoor activities including hiking, mountain biking, a golf course opposite Mont-Blanc, a tree-to-tree Adventure Park and of course the immense Portes du Soleil ski region. Since the village opened its first chair lift in 1938 it has grown to be an ideal centre to be based in for your holiday, whether winter or summer. At only 75 minutes transfer from Geneva airport, Les Gets is easily accessible for a fantastic short break or longer stay. The village hosts many downhill mountain biking events with two extensive mountain biking areas, one each side of the valley the village occupies. 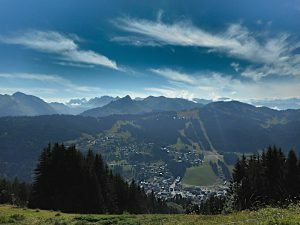 Les Gets is linked by lifts to many of the Portes Du Soleil’s other centres and the neighbouring area of Morzine giving skiiers and mountain bikers a hug area to easily enjoy. The village has a wide choice of restaurants and bars to suit any budget and has a welcoming family friendly atmosphere. Located in south-eastern France in the Haute-Savoie department of the Auvergne-Rhône-Alpes region. At an altitude of 900m the location in the Alps makes it ideal for both winter and summer sporting and leisure activities. There isn’t a Les Gets airport, the airports close to Les Gets are Geneva airport (85km) followed by Chambery (134km), Lyon (210km) and Grenoble (213km). 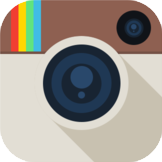 Les Gets airport transfers from Geneva Airport take approximately 1 hour and 15 minutes. 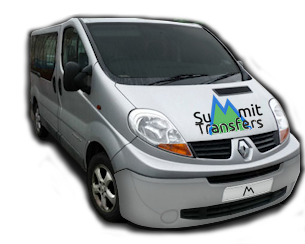 A Geneva to Les Gets transfer is the quickest and easiest way to get to the area by plane. Private airport transfers are the most convenient way to get to the Les Gets ski resort. This is true especially if you are travelling with skis or snow boards and Geneva is the most popular airport near Les Gets. It should be noted that Geneva is in Switzerland and not France. Getting to Les Gets from Geneva is seemless though. Plus the transit takes you through some spectacular scenery as you climb the alpine roads into the mountains. The ease, convenience and speed of our Geneva to Les Gets shuttle make this the most popular way of getting to the village. We can pick up you and your party along with your luggage from Geneva airport. We’ll then drop you at the door of your accommodation in Les Gets enabling you to have a relaxed and stress free start to your stay. There isn’t a Les Gets train that goes directly to the village and there isn’t a railway line to the village or a Les Gets train station. The nearest railway stations you could travel to are Cluses and Thonon-les-bains but both are around an hour away by road. To travel by bus from Geneva airport you need to get to Geneva Gare Routiere and then take the line T71 bus to Thonon-les-bains which takes approximately an hour and then take the line 91 bus from Thonon which takes another 45 minutes. Alternatively you can take a line T74 bus from Geneva airport to Cluses which takes 1 hour and 20 minutes and then another 35 minutes from Cluses to the village centre. Travellers would be wise to check all bus times depending on their arrival time at Geneva airport as bus times and connections can vary resulting in delays or being unable to reach your destination.